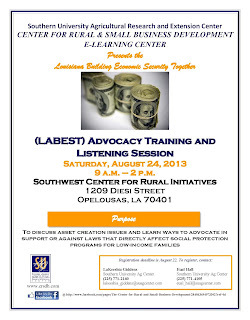 BATON ROUGE, LA — The Center for Rural and Small Business Development in the Southern University Agricultural Research and Extension Center and the Louisiana Building Economic Security Together (LABEST) will hold an advocacy training and listening session at 9 a.m. Saturday, August 24 at the Southwest Center for Rural Initiatives, 1209 Diesi Street, Opelousas, LA. Attendees will have an opportunity to discuss obstacles that are preventing them and their communities from being able to build assets and gain personal wealth. They will also be trained on ways to advocate in support or against laws that directly affect social protection programs for low-income families. Registration, which is free, is required and can be completed by contacting LaKeeshia Giddens at 225-771-2160 or Eual Hall at 225-771-4105. LABEST is a collaboration compromised of grass roots, non-profit and advocacy organizations, policy makers, community leaders and Historically Black Colleges and Universities. Their goal is to help a broad population of Louisiana residents achieve financial independence by identifying policies, promoting advocacy awareness and empowering constituents to build economic security over a lifetime. 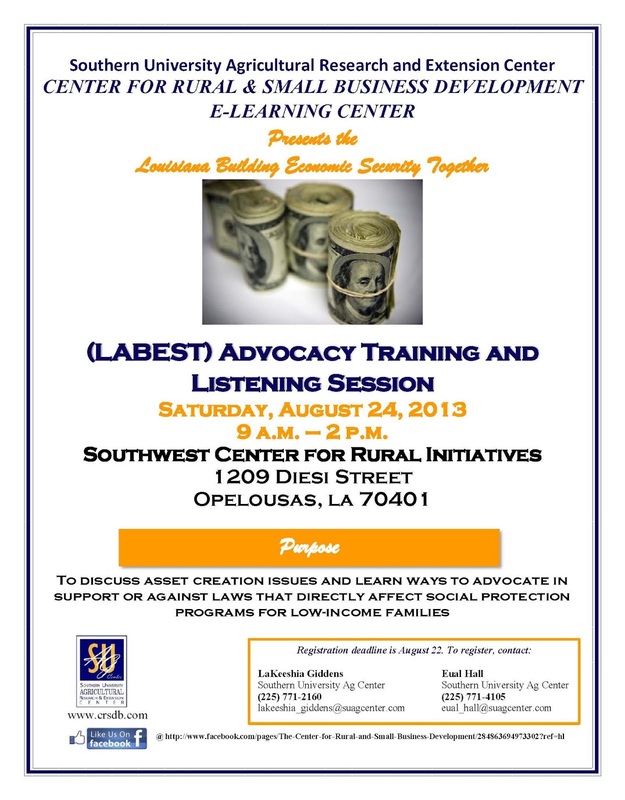 For additional information about LABEST or this event, please contact LaKeeshia at 225.771.2160. Writer: LaKeeshia Giddens, 225.771.2160 or lakeeshia_giddens@suagcenter.com. 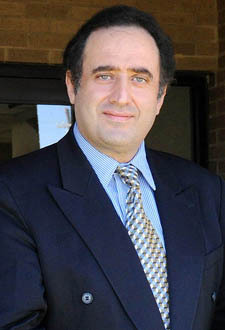 Baton Rouge, LA – On July 22, 2013, the United States Department of Agriculture Secretary Tom Vilsack appointed Dr. Kamran Abdollahi, Urban Forestry Program Leader at Southern University Ag Center to the National Urban and Community Forestry Advisory Council (NUCFAC) representing the interest area of Academic Institutions with an expertise in Urban and Community Forestry Activities. Dr. Abdollahi, whose appointment will stand for two years, is a professor of Urban Forestry at the SU Ag Center and also serves as Professor/Program Leader in Urban Forestry on SU Baton Rouge campus. The National Urban and Community Forestry Advisory Council is an appointed advisory council by the Secretary of Agriculture on urban forestry and related issues. The 1990 Farm Bill created NUCFAC to bring together a wide variety of voices raised about a common concern: the present health and future preservation of America's urban forests. NUCFAC was founded to synthesize the full spectrum of views into a consistent vision, as a foundation for practical policy on urban forestry. Baton Rouge, LA - Southern University Agricultural Research and Extension Center’s Executive Vice Chancellor and Vice Chancellor for Research, Dr. Adell Brown will serve as panelist on the Global Economic Development Forum on August 23 in Washington, DC. 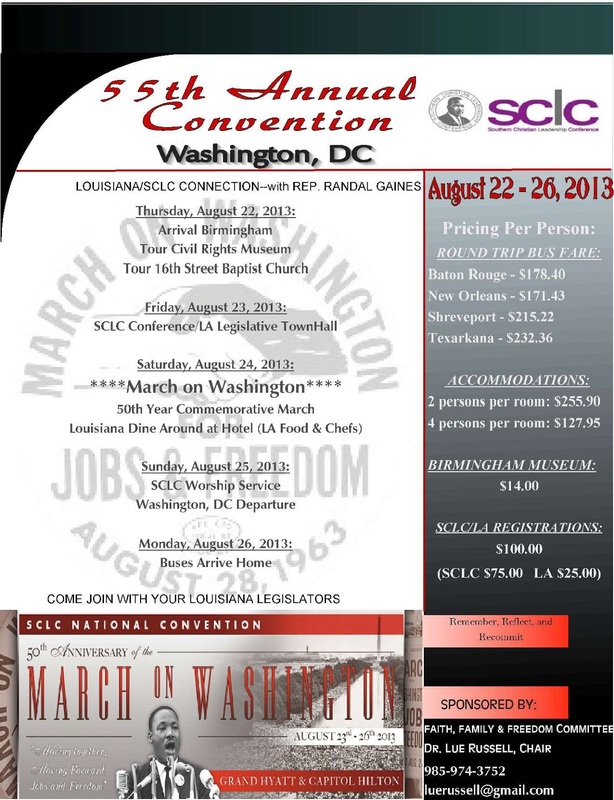 Louisiana Connection is organizing a “Doing Business in Africa Summit 2013” in Washington, DC, August 22-26 at the Grand Hyatt Washington in conjunction with the Southern Christian Leadership Conference. Events include tours, panel discussions, SCLC Conference/LA Legislative Town Hall Meeting on the 23rd, and March on Washington, August 24. The Panel Discussion on which Dr. Brown will serve is entitled, Global Economic Development: Doing Business in Africa. The purpose of the summit is to provide an opportunity for African governmental officials to interact directly with business leaders in an effort to help promote, facilitate and generate trade between US-based companies and African countries. The initiative emanated from Dr. Martin Luther King’s advocacy for freedom and equality among minorities and the underserved. An essential element of that vision is economic freedom. In recent years, provocative and innovative investors have benefitted greatly from engaging the global economy concept. The summit will greatly enhance business opportunities for minorities and ensure the attainment of MLK’s vision on economic freedom. 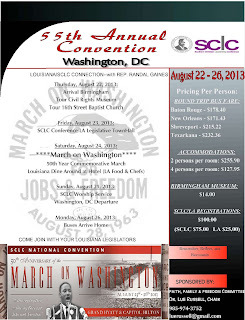 The highlight of this 55th Annual Louisiana/Southern Christian Leadership Connection Conference will be the March on Washington, August 24 since this year marks the 50th anniversary of the Walk on Washington. The Panelists for the Global Economic Development Forum are: Mrs. Carol Moore, US Trade, Jackson, Mississippi; Mr. Samuel Banks, Miracle Landing LLC, Atlanta, Georgia; Honorable Eugene Grant, Mayor Seat Pleasant, Maryland; Honorable Herbert Martin, Former Manager Cameroon Development; Corporation, The Republic of Cameroon; Felipe D. Wright, CEO eWaste Tech Systems, LLC; Dr. Adell Brown, Exec Vice Chancellor, and Vice Chancellor for Research, Southern University Agricultural Research and Extension Center; and Honorable J Myles Riley, President and CEO, j Riley Consulting Group, LLC. The Pitts Riley Group LLC and J. Riley Consulting Group LLC were selected to handle this important Louisiana Business Connection event as a part of the Louisiana-Southern Christian Leadership Conference Connection hosted by Chairman, SCLC National Officer and Louisiana Legislator, Rep. Randall Gaines and C-Chairman, Dr. Lue Russell, Johnny Riley, former Assistant Secretary to the State of Louisiana Department of Labor from 2008-2012, is a strong advocate of increasing trade and direct investment between the United States and Africa. He and his executive team at the Pitts Riley Group LLC and J Riley Consulting Group LLC are instrumental in developing business relationships with several African nations and US Based companies. Baton Rouge, LA, – Southern University and A&M College is participating in the second annual College Colors Day spirit competition and is asking for fan support to help win the national Spirit Cup award, which includes $10,000 toward the general scholarship fund. 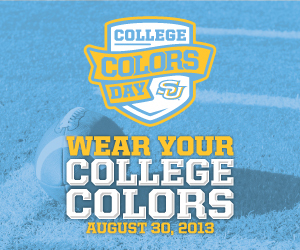 Show your SU Jaguar Nation allegiance by wearing blue and gold on Friday, August 30, 2013 College Colors Day. You can pledge allegiance to the Jags by voting once per day, August 12- 29. This year, 160 Colleges and Universities are vying to be Crowned Winners of the College Colors Day Spirit Cup. The school with the most pledges will be declared winner of the 2013 College Colors Day Spirit Cup. Let the countdown to College Colors Day and the kickoff of college football season begin! Fans can vote once each day and can check who is winning the competition nationally and within each conference. The winner will be announced on College Colors Day on Friday, August 30. College Colors Day is an annual celebration dedicated to promoting the traditions and spirit that embody the college experience by encouraging fans across America to wear their favorite college or university apparel throughout the day on August 30. The national spirit competition is presented by The Collegiate Licensing Company (CLC), a division of IMG College, and NCAA Football. The competition began today and runs through Thursday, August 29. You can pledge allegiance to the Jags by voting once per day. This year, 160 Colleges and Universities are vying to be Crowned Winners of the College Colors Day Spirit Cup. The school with the most pledges will be declared winner of the 2013 College Colors Day Spirit Cup. Let the countdown to College Colors Day and the kickoff of college football season begin! Follow these steps to vote: click on link; “Enter Now” red button; complete required fields to continue; Register, Pledge Now, select Southern Jaguars from drop down button; “pledge now.” You are set to vote every day following that. Just click on the link, and connect via Facebook or the email used to register, and vote daily until August 29. Go Jaguars! By visiting facebook.com/collegecolorsday, Jaguar fans can register to vote for Southern as the school with the most college spirit and loyal fan base. After placing a vote, fans will have the opportunity to win prizes and discounts through an instant win game, view and submit photos to the College Colors Day fan photo gallery, and download a custom Facebook cover photo promoting Southern for College Colors Day. Baton Rouge, LA – Dr. Owusu Bandele, Professor Emeritus at the Southern University Ag Center was in the midst of food lovers, food scientists, agriculture experts, farmers, chefs and food writers gathered at the Ernest N. Morial Convention Center in New Orleans for the first Farm to Table International Symposium, Aug. 2-4. A panel on food justice, which included Professor Owusu Bandele, moderated by Mike Kantor of the Second Harvest Food Bank in New Orleans, aimed to illuminate critical issues involving equal access to fresh and nutritious ingredients. The event organized by the convention center and the Southern Food and Beverage Institute included major speeches, food demonstrations and panels. One of the panels focused on food security was led by Mike Strain, Louisiana Commissioner of Agriculture Forestry. The Symposium was covered by The Advocate in the People section on August 08, 2013. 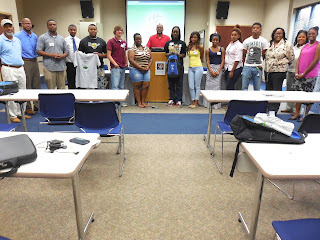 Baton Rouge, LA –The Southern University College of Sciences and Agriculture, in collaboration with the Agricultural Research and Extension Center, welcomed incoming freshmen to Southern University, Baton Rouge on August 8, 2013 through a USDA/NIFA funded grant titled “JAGS in AG: Recruitment, Exploration, and Retention.” The project’s goal is to expose SU students to available careers in food and agricultural sciences. Dr. Renita Marshall, Associate Professor, serves as the Project Director with co-PDs Dr. Rawls, Associate Research Director, Dr. Kenyetta Smith, Extension Specialist and Dr. Gary Simon, DVM. The JAGS in AG: Recruitment, Exploration, and Retention project provides experiential hands-on learning activities for freshman and sophomore students at Southern University in an attempt to expose them to careers in Food and Agricultural Sciences. Each project participant receives a stipend of $1,000 for each semester - fall, spring and summer. This project is designed to increase the number of minority students at the collegiate level in Food and Agricultural Sciences using innovative approaches to address academic inadequacies of students, allowing them an opportunity to pursue degrees in food and agricultural sciences. High school seniors as well as freshmen and sophomores enrolled at Southern University, with a minimum GPA of 2.5 are eligible to apply for participation in the project. A maximum of 15 students is selected to participate in this year’s program. A website that can be downloaded onto mobile devices is available at www.jagsinag.org. This site will be updated as the project progresses. Baton Rouge, LA –Kit Chin, professor, horticulture at SU Ag Center has been published in an international magazine - International Innovation. 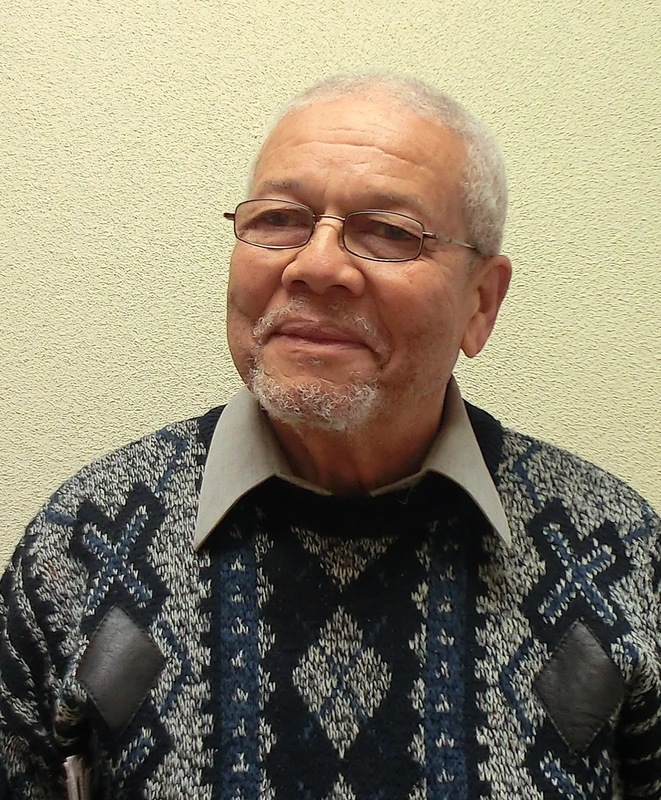 His research article on the health implication of hibiscus is on page 50-52 of the August 2013 issue of the magazine. Dr. Chin is an avid researcher who aims to assess the viability of the roselle plant as a crop for farmers in Louisiana. In the article, Chin discusses the importance of collaboration and the significance of his work with Roselle hibiscus, which has a number of positive attributes making it an ideal candidate for a functional food crop among small farmers for obvious reasons. “It is easy to grow; it has demonstrated medicinal properties (a niche factor for marketing) and can fetch high market price; there is no fresh roselle hibiscus produce (calyces and leaves) currently available in the US; it is versatile for a number of uses; and has a worldwide demand,” said Chin. Click here for a PDF version of the article. 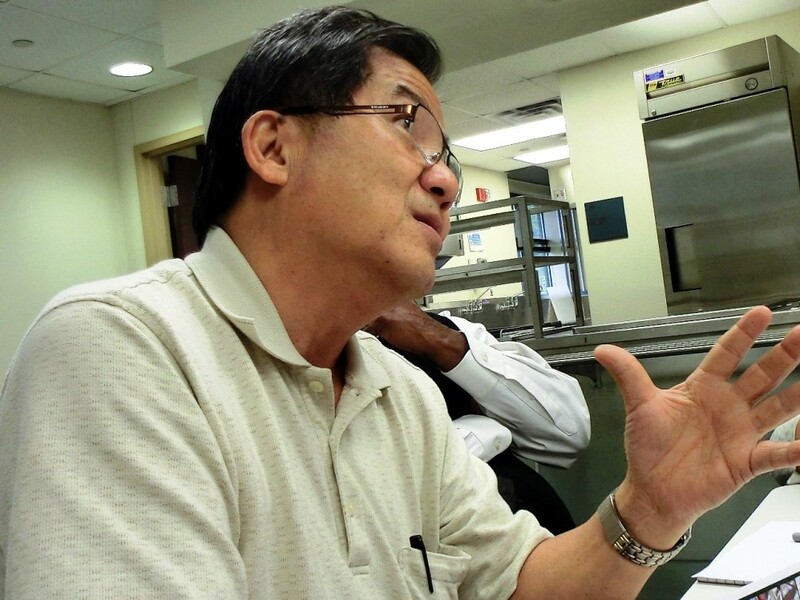 In discussing the healing power of hibiscus, Chin says his inspiration for the research arose from an increased demand for natural foods to mitigate human chronic diseases such as cancer. He added that some shortcomings of growing hibiscus include precision in harvesting time, and great manpower demand in harvesting and peeling the calyces to prevent mildew disease during storage. However, he plans to overcome harvesting and handling challenges by continuous variety selection process to ensure the best adaptable cultivars that will help his research. His method of improving awareness of the Roselle hibiscus to the public includes utilizing the Southern University Ag Center website, social media, national TV broadcast, the Louisiana Farm Bureau (This Week in Louisiana Agriculture) TV program, field days, and the annual SU Legislative Day at the Capitol. Dr. Chin states that in the long run, the wider importance of his research will impact small farmers as well as the state’s economy. He sees potential in Louisiana small farmers adopting Roselle hibiscus as a functional food crop; emergence of hibiscus-related products industry expanding to include other plants for producing wines and beverages; and growing into other value-added products. “The research can help to promote market enterprises for small, limited-resource farms and develop new product industry in Louisiana. I can also foresee roselle hibiscus playing a significant role in the nutritional supplement market,” Chin said. The research project is multidisciplinary and multi-institutional in nature, utilizing the various expertise of the collaborators to effectively and efficiently achieve common research goals with minimum expenses. This approach also helps to build SU Ag Center’s research capability credentials. Primary partners in this USDA/NIFA funded initiative include Rutgers University, West Virginia State University, and USDA Agricultural Research Service. The SU Ag Center project team consists of Drs. Yadong Qi, Sebhatu Gebrelul, Renita Marshall, Fatemeh Malekian and Adell Brown. The project was funded in 2009 by the National Institute of Food and Agriculture. In the publication, Dr. Chin also responses to the question concerning his opinion on the effect of climate change on his research. He anticipated that plants will adapt in the long run to climate changes and probably result in evolving of new genetic plant species. Published by Research Media Ltd., International Innovation is the leading global dissemination resource for the wider scientific, technology and research communities, dedicated to disseminating the latest science, research and technological innovations on a global level. More information and a complimentary subscription offer to the publication can be found at: http://www.international-innovation-northamerica.com. Baton Rouge, LA - The Family & Youth Development Program at Southern University Ag Center will hold a Back-to-School Summit for 8th graders on September 12, 2013, 8:30 am-1:00 pm. 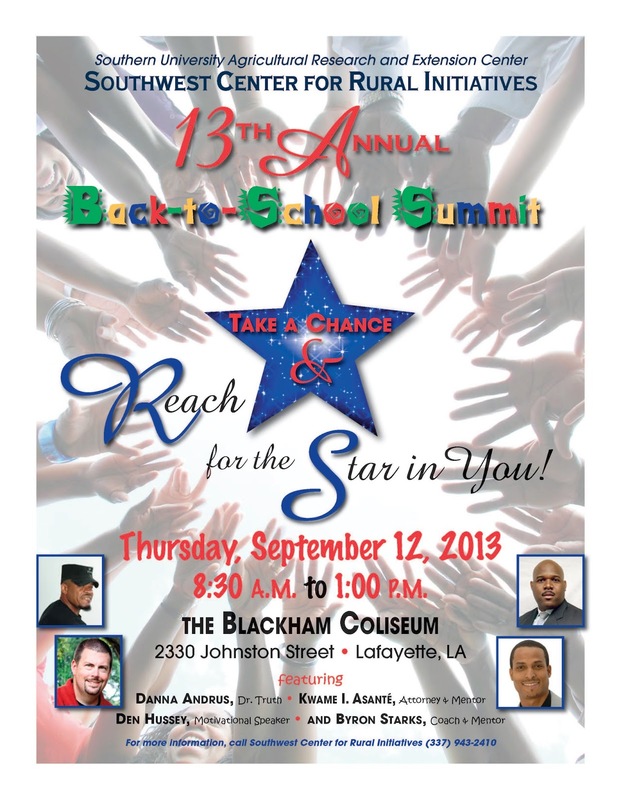 The 13th Annual Back-to-School Summit is organized by the Southwest Center for Rural Initiatives located in Opelousas. The theme for this year’s event is “Reach for the Star in You!” The event will take place at the Blackham Coliseum, 2330 Johnston Street, Lafayette, featuring Danna Andrus "Dr. Truth"; Kwame I. Asanté, Attorney and Mentor; Byron Starks, Coach and Mentor; and Den Hussey, Motivational Speaker. Participants will receive informational brochures along with school supplies from various agencies while learning from motivational speakers and video presentations. Topics of discussion include a wide range of healthy living tips, from sexual conduct to drug abuse. The goal of the program is to give young people health alternative choices in life. The program targets eighth-graders because they are on the edge of becoming teenagers. The Southwest Center for Rural Initiatives is a satellite arm of the Southern University Agricultural Research and Extension Center. Its mission is to improve the socioeconomic wellbeing of citizens in rural communities within a ten-parish region of Southwest Louisiana. The Center performs functions consistent with the SU Ag Center’s mission of conducting basic and applied research and disseminating information to the citizens of Louisiana.